Zakład Przetwórstwa Mięsnego “GROT” J. Grot sp. j. focuses all its efforts on the continuous improvement of the quality of its products, with particular reference to their hygiene safety, by means of the total involvement of the employees operating on all levels of the company. Intentional, ethical and responsible observance by our employees of the Good Manufacturing and Hygienic Practice and the HACCP system has an impact on the increase of our customer’s trust in the goods produced by the company. Good relationships with our suppliers ensure that our ready-made products comply with the regulations of the food laws and are made from raw materials that are of the highest and most reliable quality. The management of the company makes sure that the food hygiene and quality policy is comprehensible, implemented and adhered to in all the areas covered by the food hygiene management system. At the same time we are certain that by taking care of the quality and hygiene of our products we systematically expand the number of customers who consider our company a reliable and trustworthy partner. An important element of the policy implemented by Zakład Przetwórstwa Mięsnego “GROT” is the constant striving to limit the harmful impact of the conducted operations on the natural environment. The company meets the requirements of all acts and regulations in terms of environmental protection by means of respecting the limits specified therein. Making an effort to operate with social responsibility and to protect our Mother Earth, we are actively involved in the promotion of environmental protection. All employees of the company are obliged to perform waste segregation and recycling. Used vegetable oil is handed over to appropriate companies that specialise in the production of biofuels. Waste water generated in the production process is treated at our on-site sewage treatment plant. In January 2015, a photovoltaic installation, which – as a renewable energy source – does not generate any air pollution (zero emission of greenhouse gases), was mounted on the roof of the company building. Therefore, as has been illustrated by the examples above, the environmental protection policy is one of the key elements for the management of the company when making strategic decisions and is followed by each and every employee of the plant. Pope John Paul II wrote that a “Man is great not because of what he possesses, but by who he is; not by what he has, but by what he shares with others”. Being faithful to these words, we have been helping both local-government institutions and non-governmental organisations for many years. 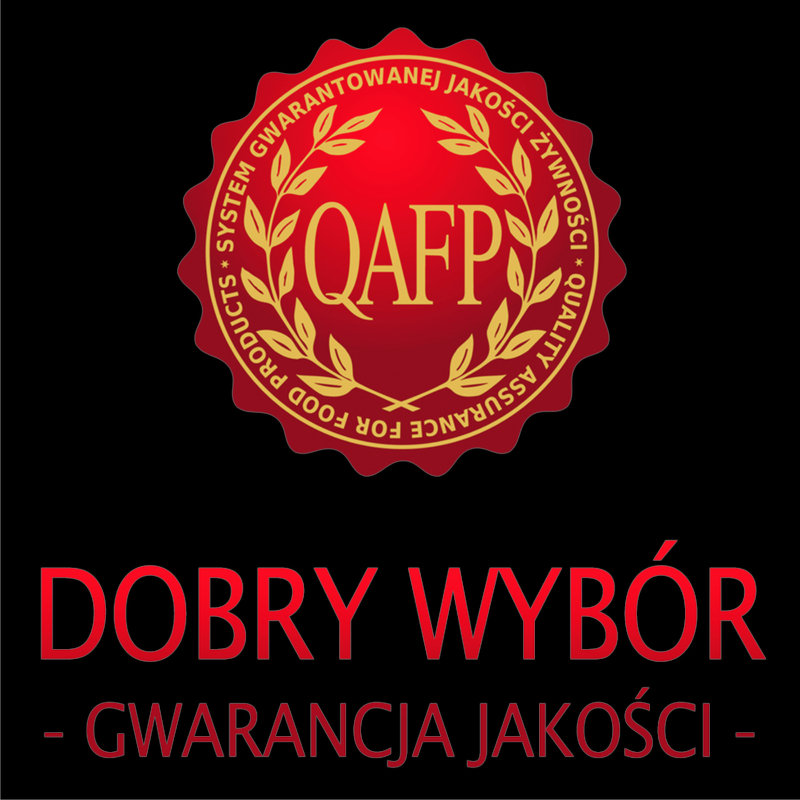 Within the space of the 25 years of the company operation, we have supported among others: the Copernicus Voivodeship Specialist Hospital in Lodz, the Lodz Archdiocese Caritas, the Monar-Markot Centre in Ozorków, the Great Orchestra of Christmas Charity, Municipal Guard, “Krwinka” Foundation, Family Foster Care Foundation, or the “Pomóż i Ty” Foundation. We take part in the annual Christmas campaign “Podziel się Wigilią” (Share Christmas Eve) organised by Member of Parliament Małgorzata Niemczyk. We are convinced that young people are our future. Therefore, we provide support to teaching facilities in Lodz and the vicinity, from kindergartens, to primary schools through middle schools, to vocational and secondary schools. Based on our own experience we know that success requires effort. A recipe to be successful includes persistence, consistency and a pinch of talent. However, this may not be sufficient in all cases. Financial stability is a barrier that cannot be overcome by many young athletes. We also remember them. We support among others multiple world champions in modern dance and hip-hop – the “Czarne Stopy” assembly from Lodz. We have also helped the Lodz-based flying club. We have won the Cup of Poland with the women’s volleyball team “Organika Budowlani Lodz”.